All pledges will be collected automatically until 14/04/2018. For the second year in Corfu, a meeting-celebration for the education that we dream of for ourselves and our children. Do we want our children to be what they want to be? If our aim is the development of our children into independent human beings with free critical thinking and an open heart, then let’s revise our educational values. To what extent are they our experience? To what extent if we are under 18 and to what if we are over? 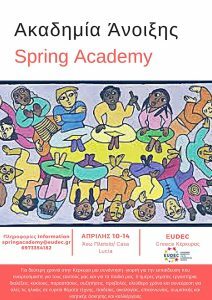 Spring Academy offers us a chance to create, explore and experience learning as an open sharing of knowledge and skills. 5 days full of workshops, circle-discussions, lectures, performances, film-projections, free time and coming together for people of all ages. We will delve into a wide range of topics such as art, education, ecology, communication, physical and mental exercise and development. We invite you, together with artists, parents, educators, scientists, children and young people, therapists, acrobats, writers. How to act with equal participation of children and young people in all processes that concern them. How education can be accessible to individuals of all social and economic backgrounds, in order to protect the right of choice, diversity and self-determination. 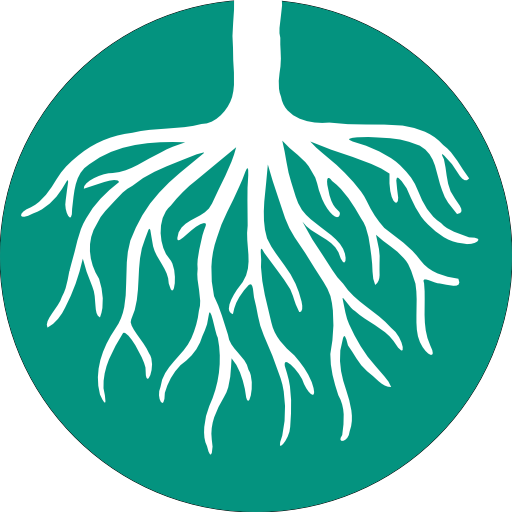 We invite individuals and collectives to help shape the structure of the Academy. The Academy is organised by EUDEC Greece, Corfu team. It is taking place in the main Square in Corfu town and at Casa Lucia. EUDEC Greece is a regional chapter of EUDEC (European Democratic Education Community), a non-profit organisation that works across Europe. We are active throughout Greece to promote Democratic Education. There are various forms of accommodation: in the cottages, camping in your own tent or in one of the large common tents we will provide. We want the Spring Academy to be available to everyone and operate with free donation. In order to make this possible we ask those of you who can for financial support through this fundraising campaign.